Buddy Hield has been named the 2016 recipient of the US Basketball Writers Association Oscar Robertson Trophy, honoring the Division I player of the year. Hield was handed the trophy by the legendary Robertson Friday at NRG Stadium in Houston, site of the Final Four. "There was a lot of competition this year, but I think they gave it to the right player," Robertson said. READ >> Warriors' Klay Thompson on Buddy Hield: "He's Next Big Thing"
For Hield, it adds to his collection of accolades which include being the two-time Big 12 Player of the Year. Hield was also named the Oscar Robertson Player of the Week twice this season for his performances. 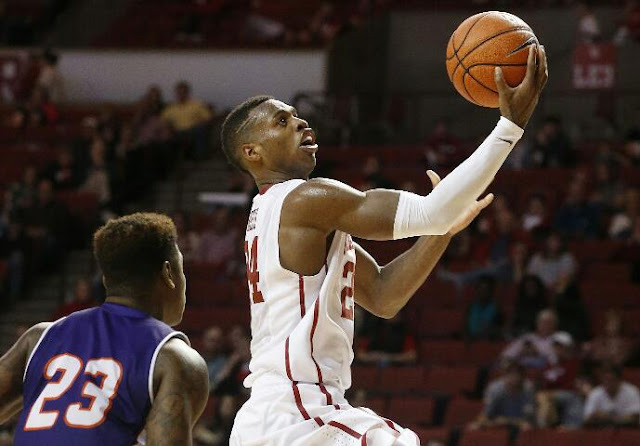 MORE >> Read the latest news about Buddy Hield.